Today we held a memorial service for AJ at his old school Holystone Primary School. It was a lovely service and Mr Baines spoke so nicely about AJ and the kids did a cracking job reading their stories and showing the AJ world they built in Minecraft. 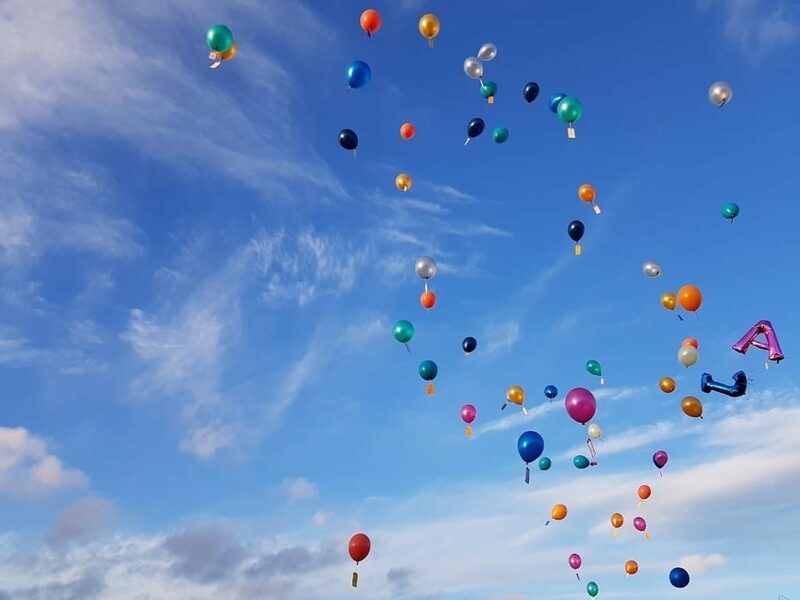 At the end of the service we released approximately 100 balloons with tags on them with small messages from his friends. You can see the release below which included a lovely poem from one of AJ’s closest friends. Where have the balloons been found? We have been tracking where the balloons got to and you can see on the map below which will be updated as balloons are found.